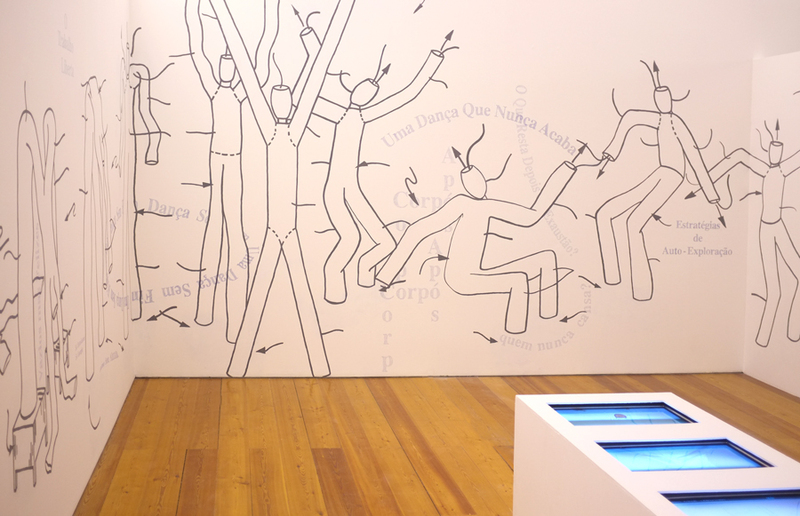 Never-ending dance is an original wall-drawing and video-performance installation produced for the second installment of the exhibition Cuestionamiento: Sociedad, taking place at Centro cultural Vila Flor (Guimarães, Portugal). 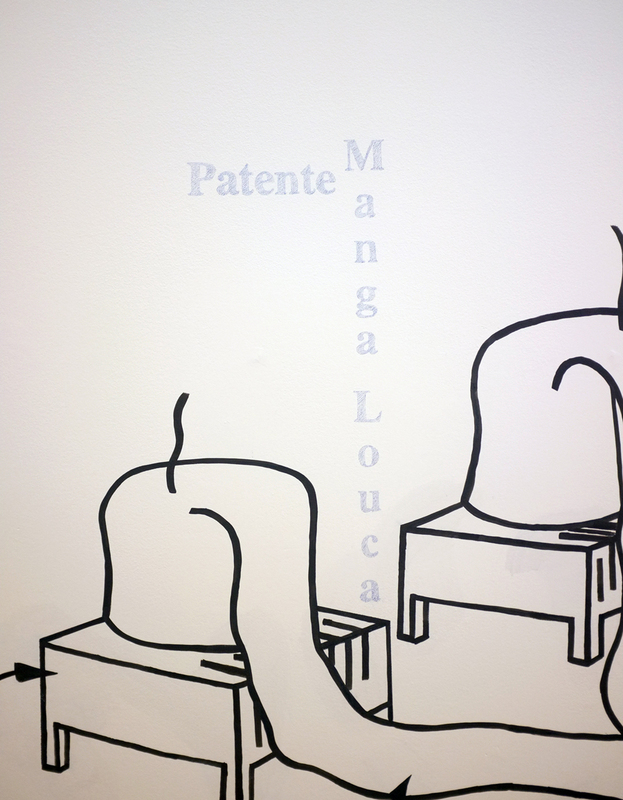 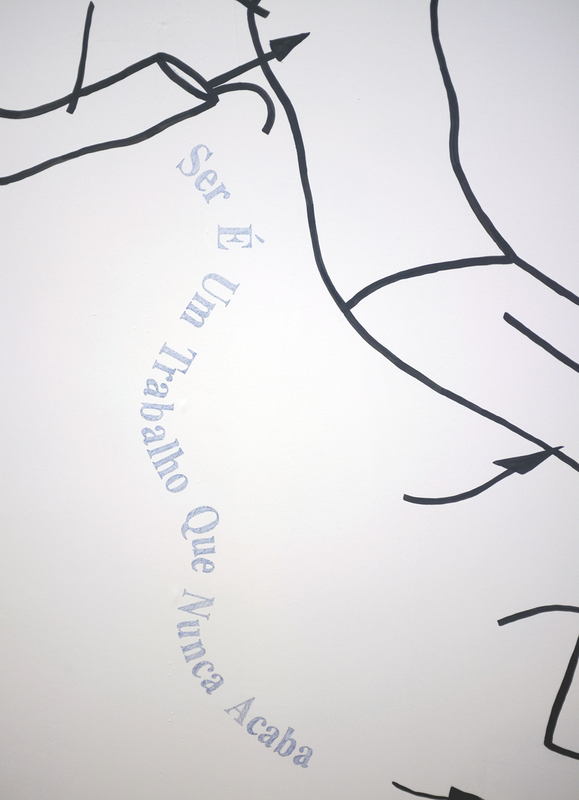 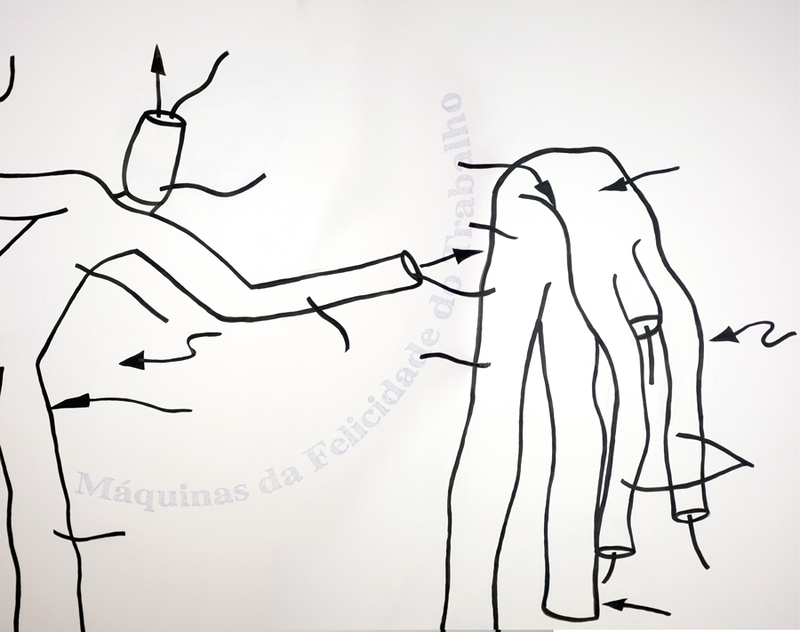 Cuestionamiento: Sociedad [Questioning: Society] was curated by Martim Dias as the result of the reputable curatorial call "Se busca Comisario". 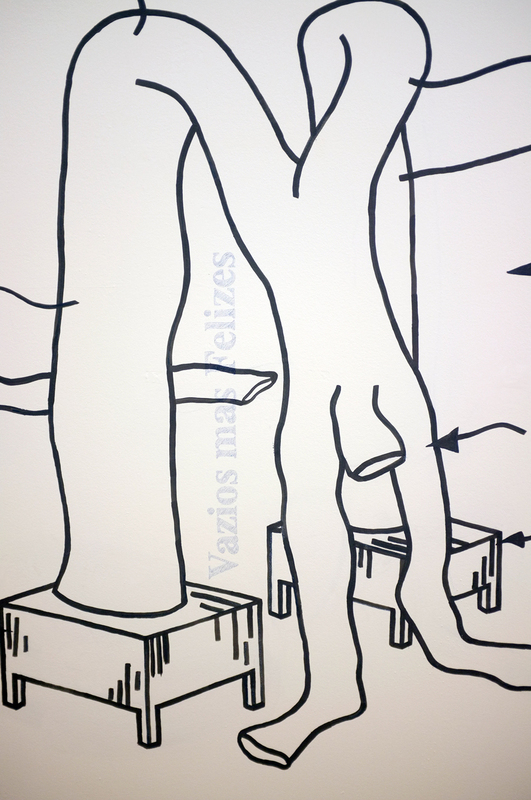 Never-ending dance investigates the desire for endless labor energy, the replacement of parts (bodies) in the production process in combination with productivity as a happiness. 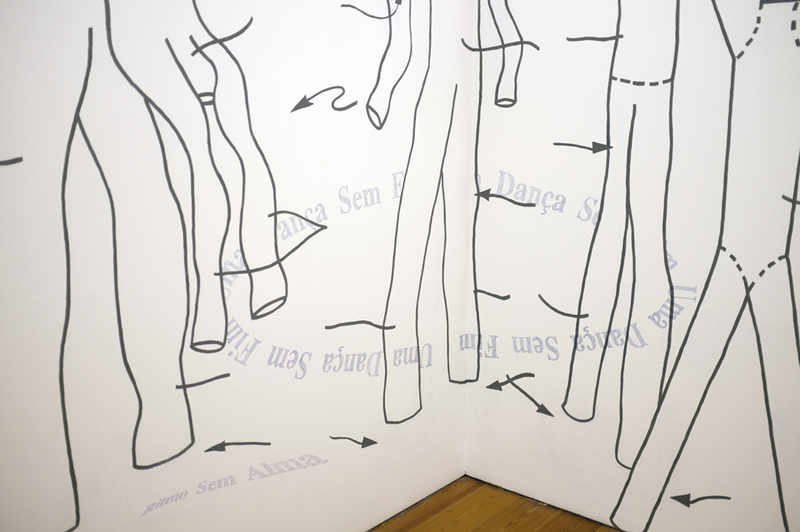 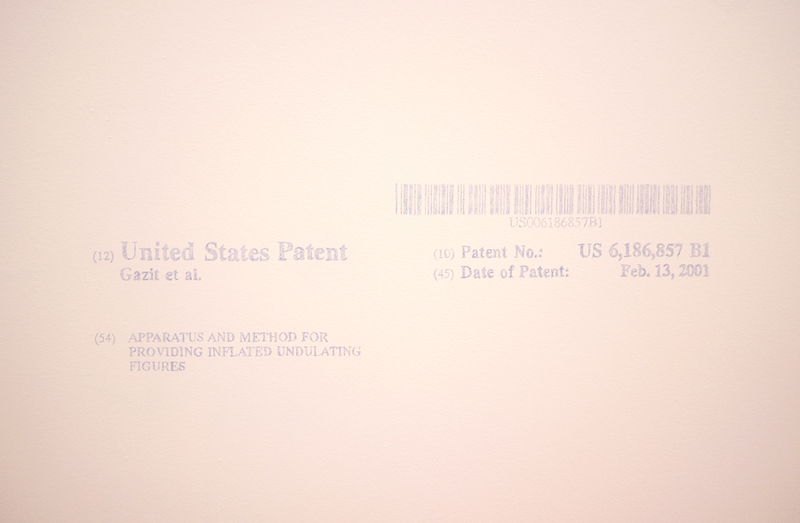 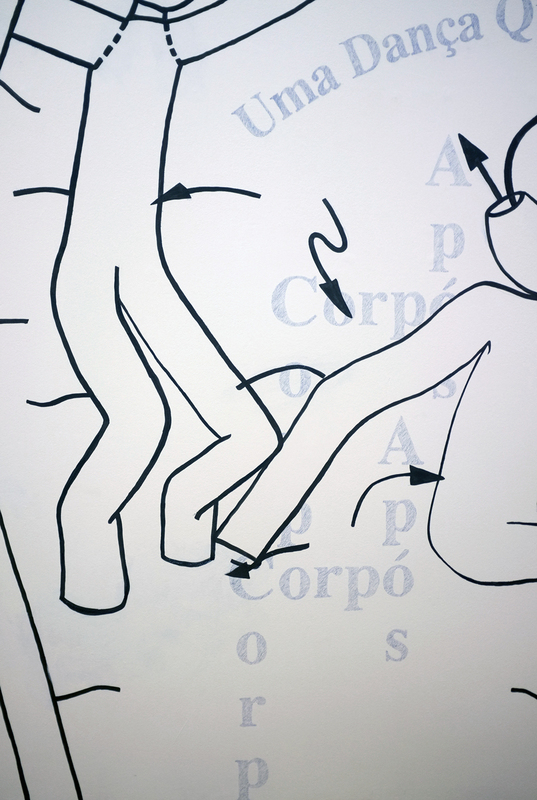 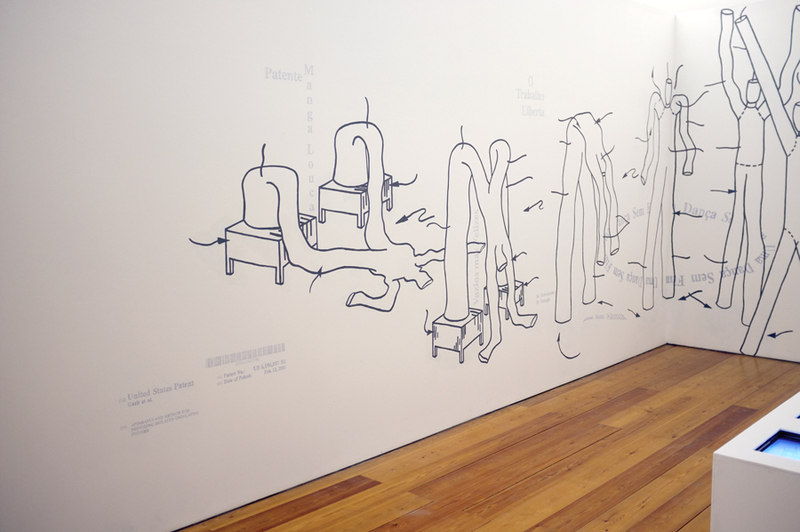 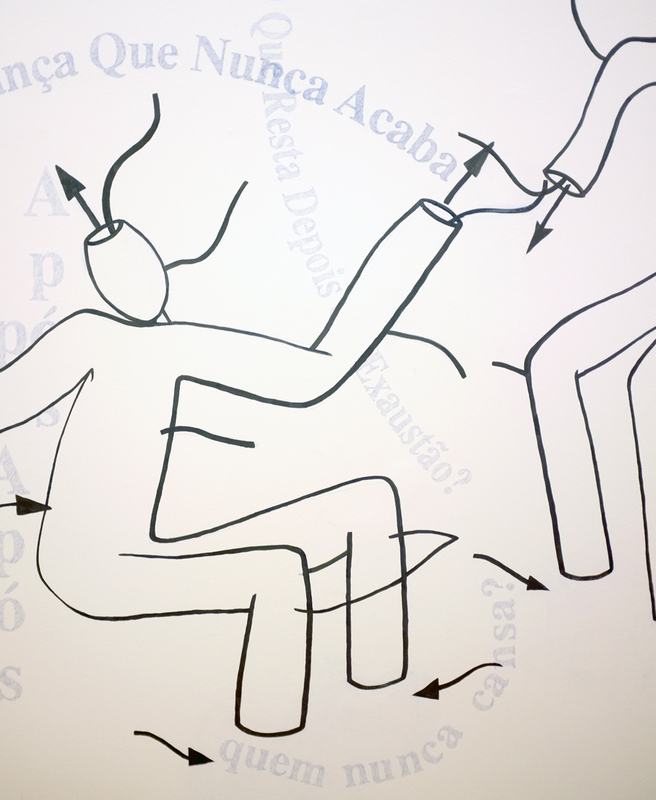 The wall drawing makes use of the patent of air dancer by Peter Minhsall and Doron Gazit, to which text reflecting about production and the role of labor and personal realization through work are questioned. 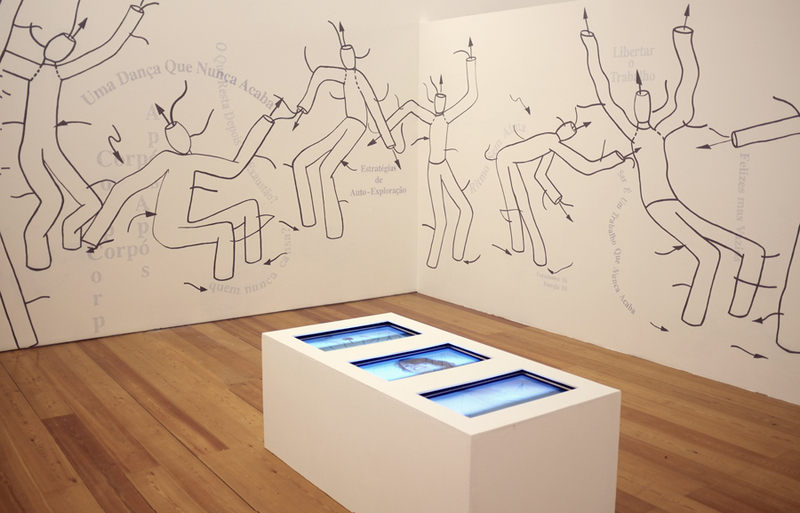 Surrounded by these wall-drawing, the attendee of the exhibition finds a box with a 3-channel video documenting a performance that consisted of different people imitating the inflating and dancing movements of air dancers. 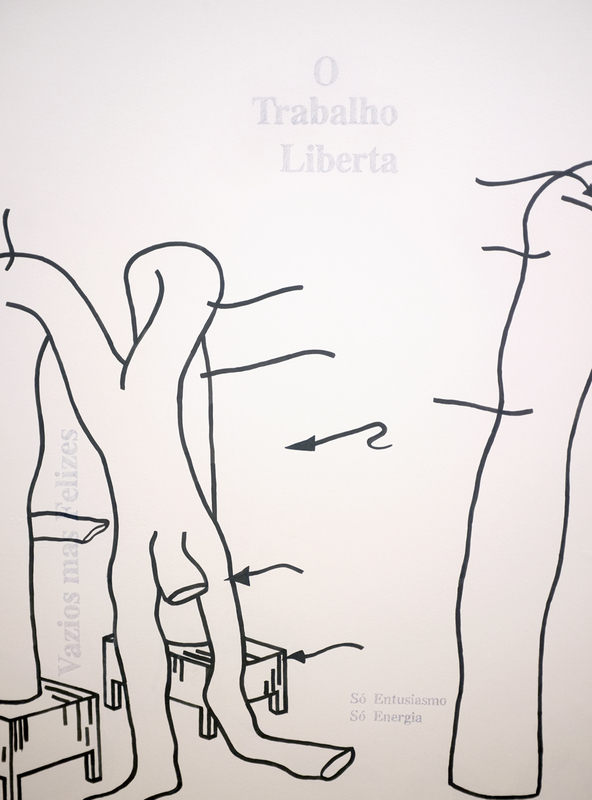 The performance took place in the location where the installation now stands, and in this way, revealing different labouring involved in the process. 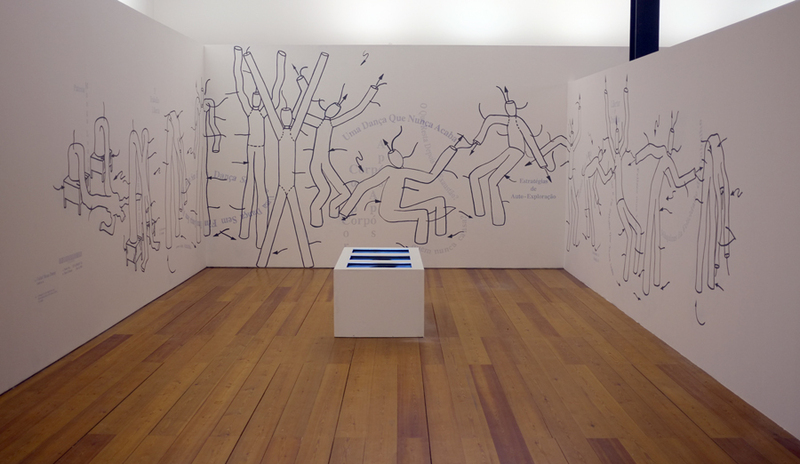 In the performance, the different bodies open their smile as they open to the open-arms position of air-dancers. 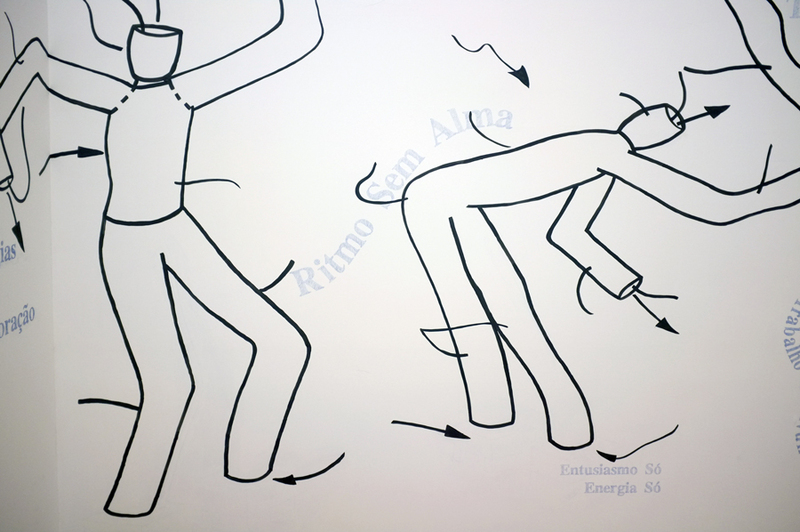 The dance will continue until the point of their exhaustion, one that is easily perceived in the slowing of speed, in the closing of smile and the dropping of arms.